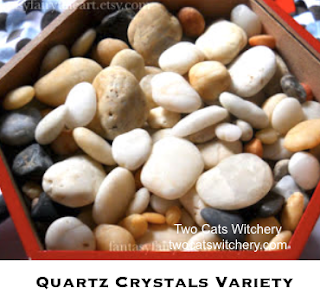 Crystals are believed, by many spiritual paths and cultures, to have specific intentions and properties. 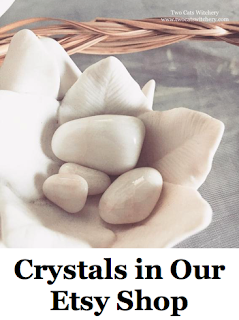 Picture these crystals around you during mediation or next to a candle when in a bath. Crystals are used in making charms bags and during rituals or prayers involving chakra, energy use, spells, protection and more. Used to make jewelry for healing and everyday wear. They also look wonderful on a shelf as room and home decor. 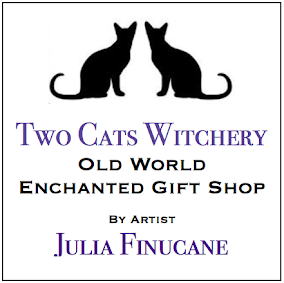 Find Two Cats Witchery Crystals in our shop here as well as in our Etsy Shop. Click images below to view and purchase.